Single room is a double inhabited by one person. These rooms, both with one double bed and two single beds. 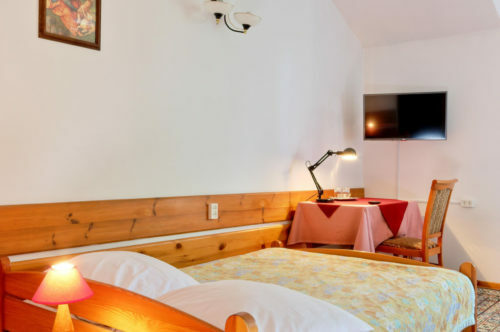 Double Standard room with two single beds or one double bed. Each room has a separate bathroom with a shower. 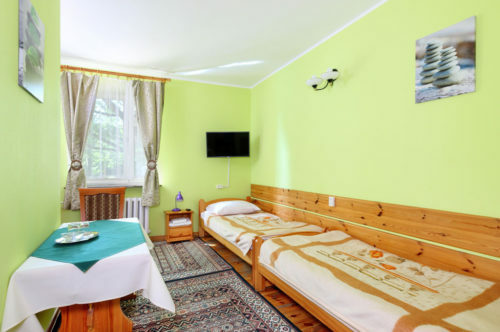 The triple room consists of three single beds or one double bed and one or two single. The standard separate bathroom with shower.